A Nice Note From Jessica – Thanks For Your Help, Jessica! It was a beautiful day this morning at your gardens! I worked on weeding just around 3 rows (I started from the 2nd row of towers). 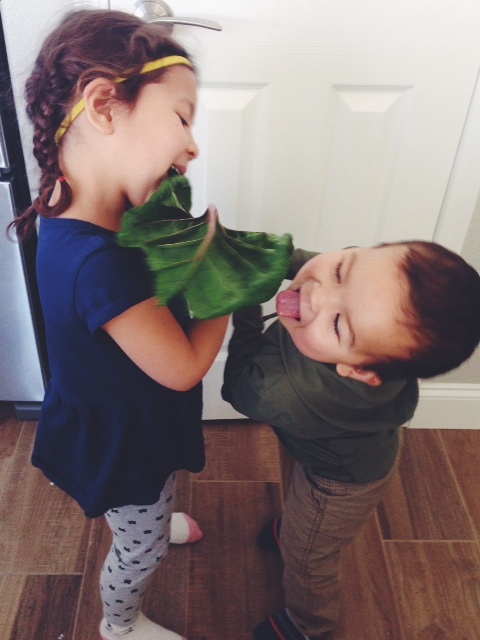 Hope that you have a nice Easter weekend … Here is a picture of my kids with the rainbow chard that I picked.